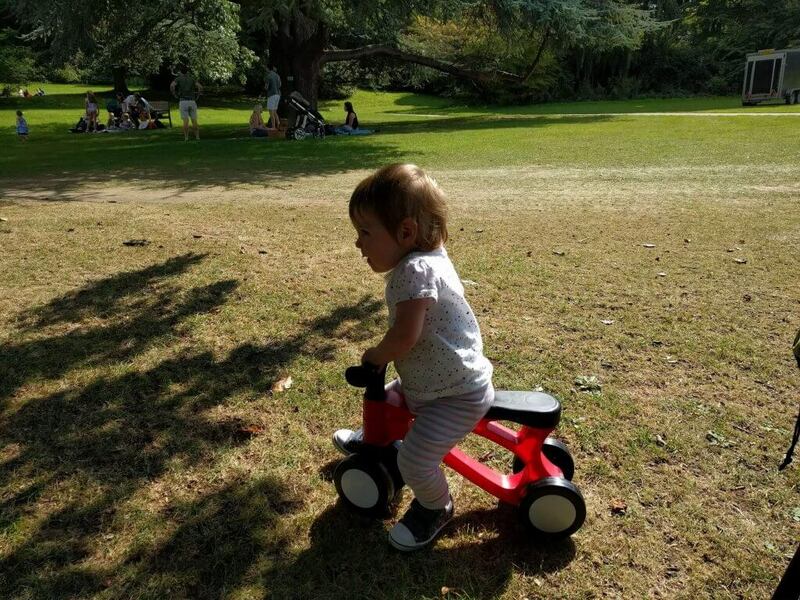 Just after Isla’s first birthday we were given the opportunity to try out the Toddlebike 2. She was so spoilt by friends and family at her birthday, and was given sooooo many toys that she loves playing with. Only one or two or them were outdoor toys though, or toys that would help her with her balance and mobility so I was really happy when we were sent the Toddlebike 2 to review. 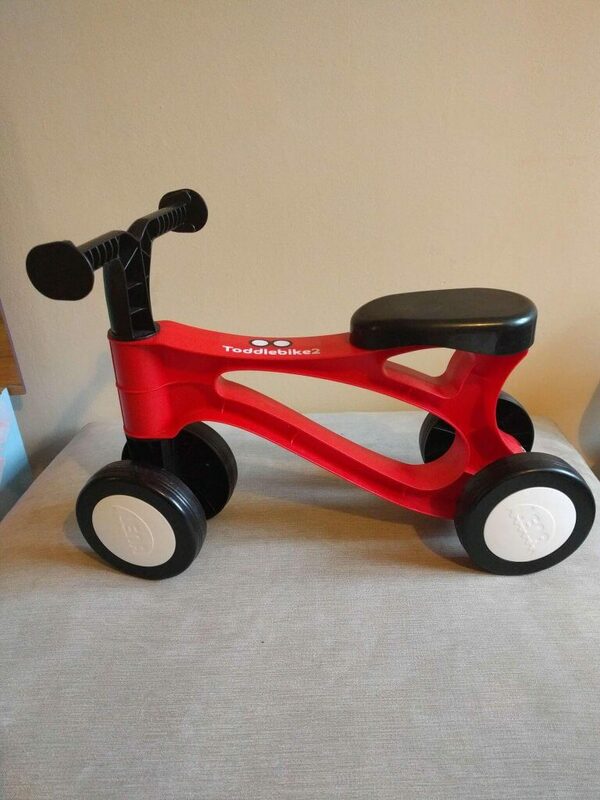 We have got the Racing Red Toddlebike 2, but it also comes in Midnight Blue and Pinky Pink. It comes ready assembled, so there is no need for your little one to run off with the instruction manual while you are trying to put it together! 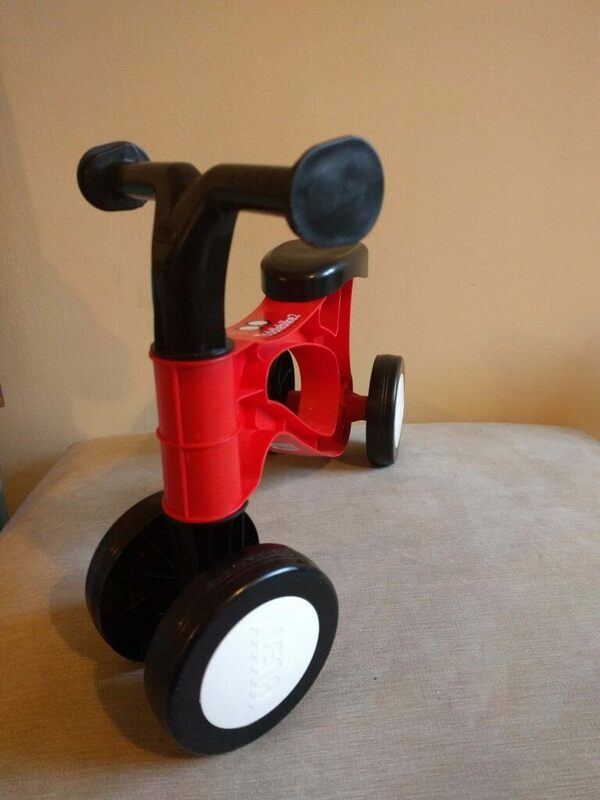 It is available on Amazon* in all three colours for £23.95, as well as at John Lewis, and on the Toddlebike website. At only 0.8kgs it is the lightest toddle bike on the market at the moment, almost 4 times lighter than others available. We’ve found this great, as we’ve been able to just sling it either in the pushchair basket, or over the handlebars when we’re going out, and it doesn’t feel as though it’s adding any weight at all. In fact, it is so light that at 18 months old Isla can easily carry it around. 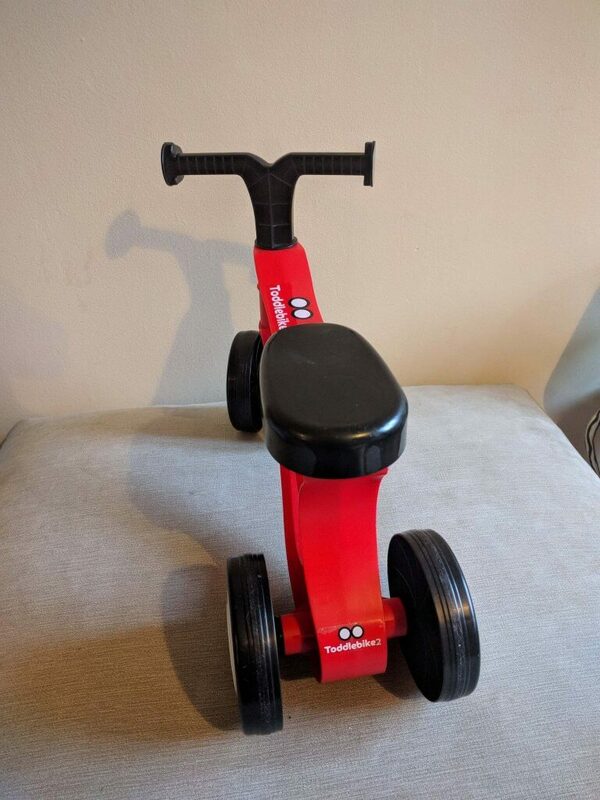 The Toddlebike 2 is usually aimed at children 18months and over, for when they are confident walkers, but some children are ready to use it earlier. 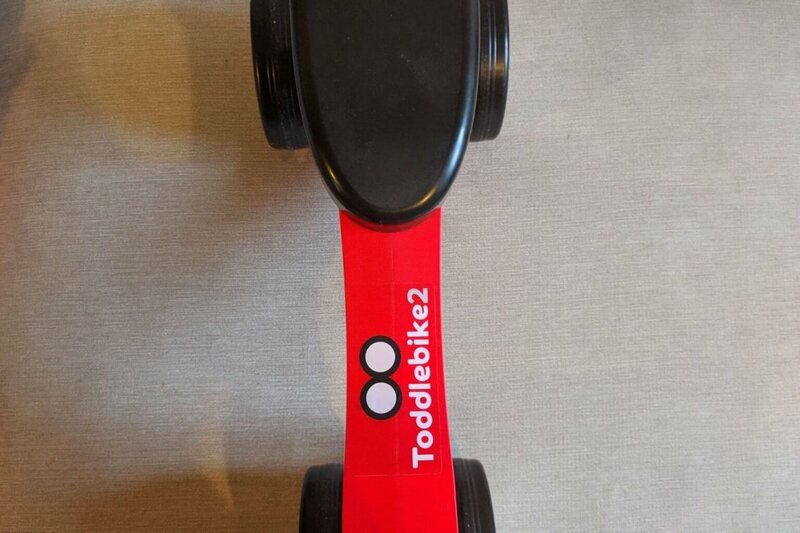 The Toddlebike 2 is great for both indoor and outdoor use, especially fantastic now that the weather has got decidedly cold on us, and the evenings are dark far earlier than any of us like! 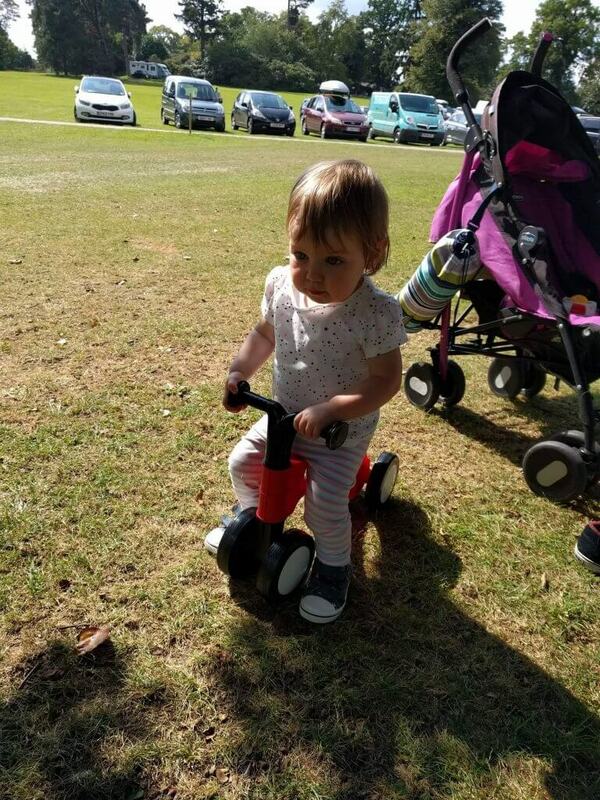 So what did Isla think of the Toddlebike 2? When she first saw it, she was really really excited and was toddling round the living room on it. At this point Isla had only taken her first unaided steps two weeks earlier, but she was very confident on it. And then she refused to go anywhere near it for over 4 months! Thanks Isla! Really helping me with reviewing this!! Anyway, she suddenly decided one day that it was fun again, and now she often rides around the living room on it, loves to carry it round, and thinks its really funny just to push it so that it goes flying from one side of the room to the other! 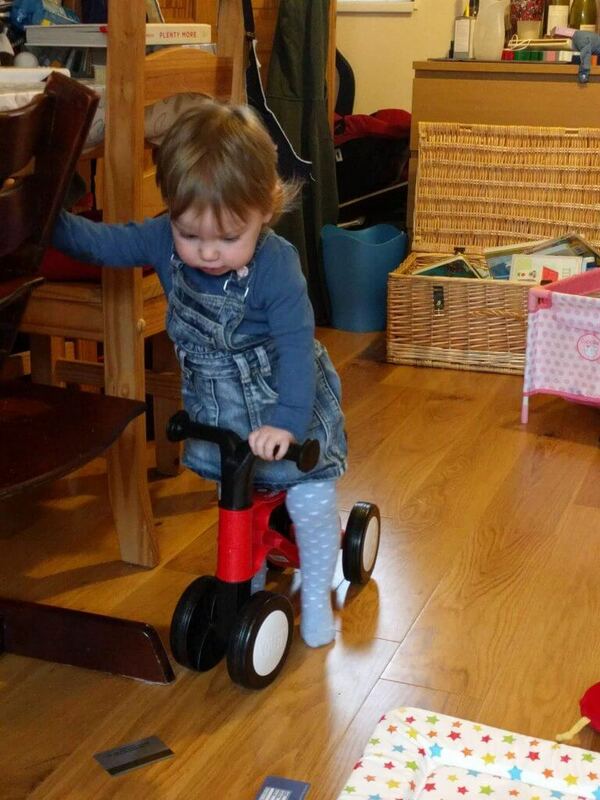 With Isla still being so small for her age, she does sometimes struggle to get on and off the Toddlebike 2. However, if she has something to hold on to, she can easily manage. Or, she will go for the tried and tested method of…leaning to one side and falling off! 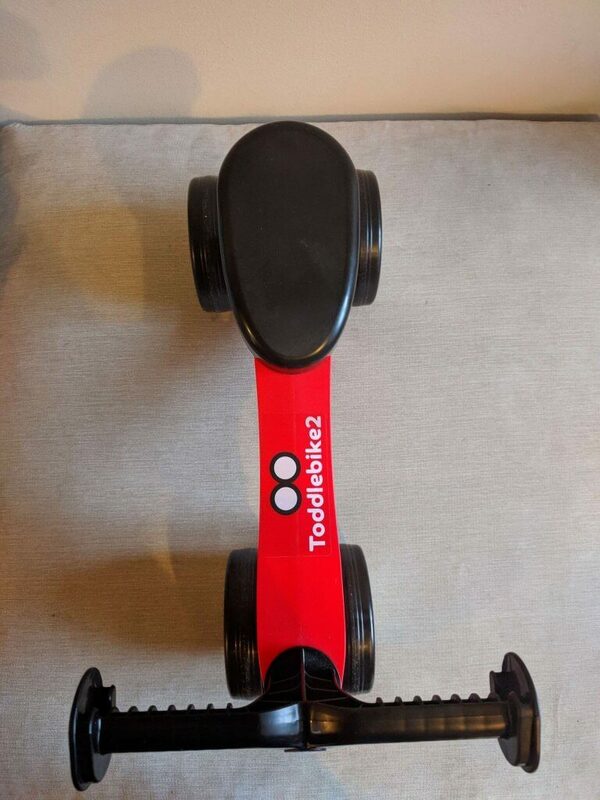 Toddlebike are currently offering Life As Mrs D readers 10% off their order on the Toddlebike website right now, bringing the price down to just £21.56. A perfect Christmas present! 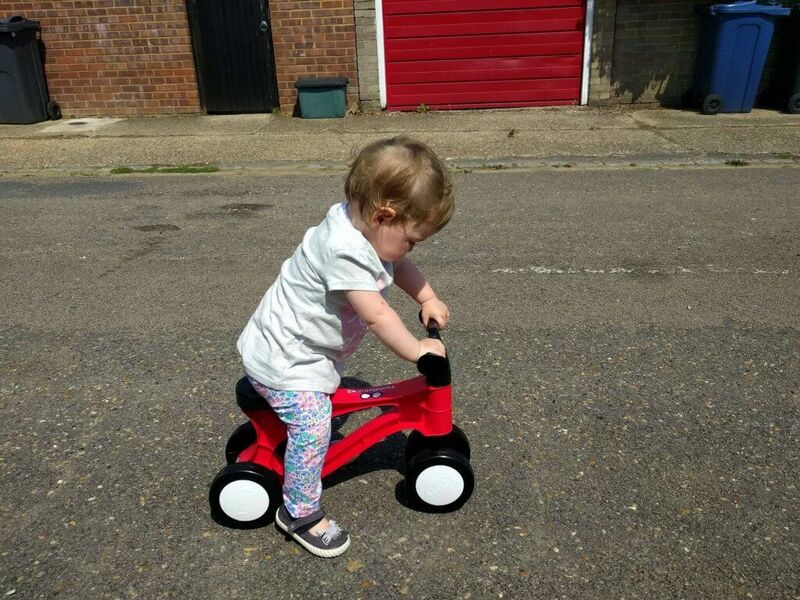 We were sent the Toddlebike 2 for free for the purpose of this review. As with all reviews on Life As Mrs D, all words and opinions are honest and my own.